We buy a range of LDPE and LLDPE films, baled and on reels. These are then reprocessed at our site in Warrington through our EREMA plastic reprocessing plant. We don’t have a wash plant or sort line so we are looking for good quality clean films. 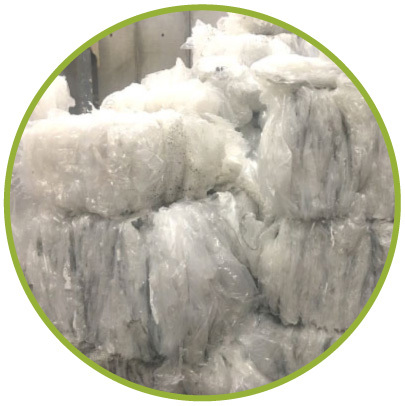 Using our recycling plant we can process materials with up to 2% paper label. We can offer competitive rebates and a great transport service through our 3rd party transport. You can see the material we are looking to purchase on our purchasing specification sheets below. We have a dedicated, experienced purchasing team to deal with your enquires, We can buy materials for our process both nationally and internationally so to get a quote either call on 01925599132 opt 2 or email info@ysreclamation.com.